The Sammler storage container by Oliver and Linda Krapf for Stadtnomaden is a simple, universal storage solution characterised by great design and functionality. 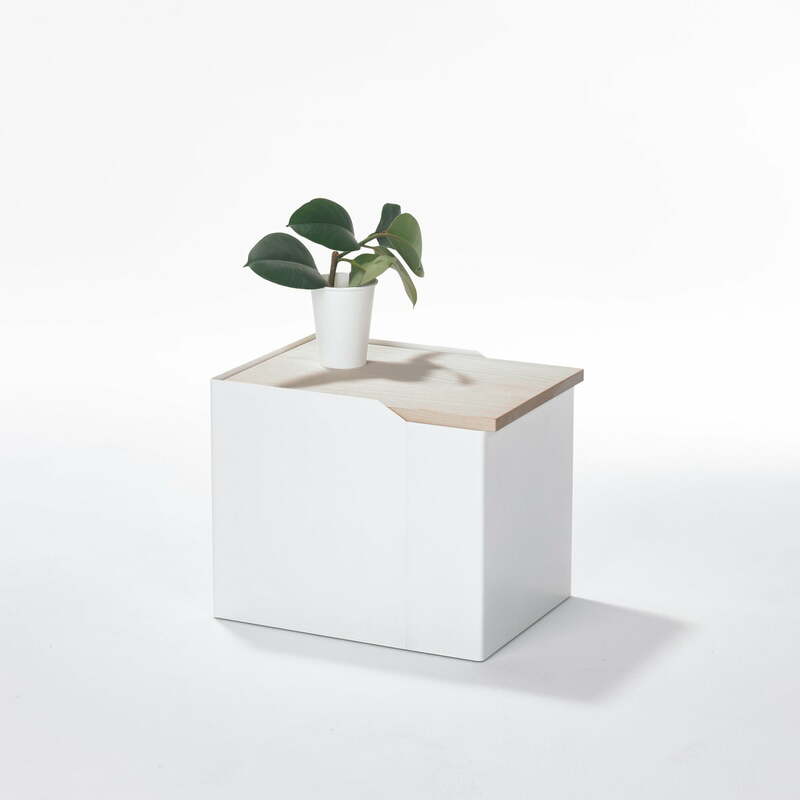 Its graphic appearance and harmonious choice of materials make it a discreet box that can be introduced into various environments and used in a versatile way. 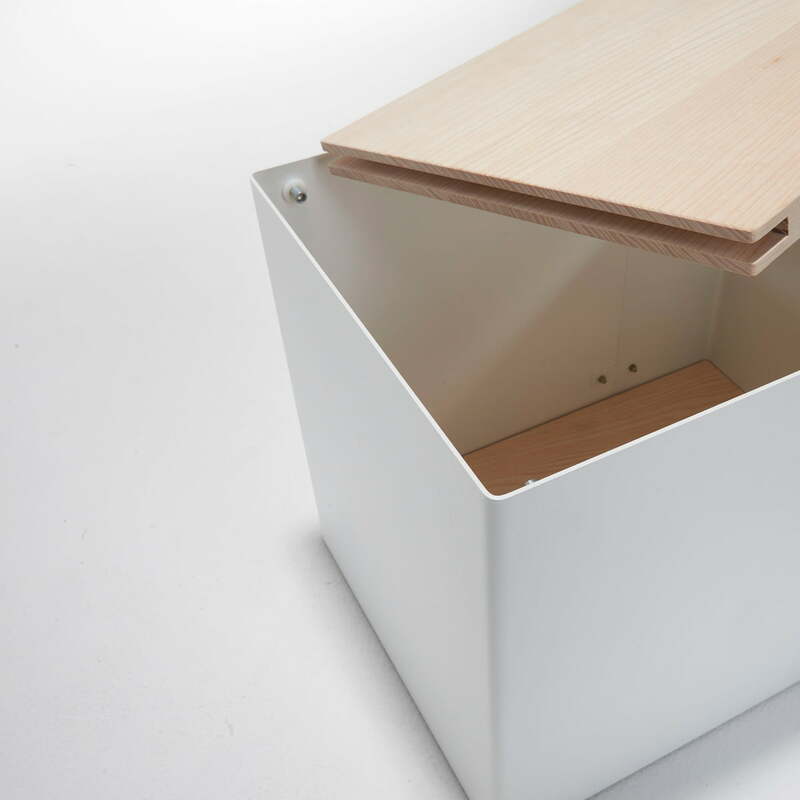 While the body is made of powder-coated aluminium, the lid is made from solid wood. Sammler can be used as a laundry basket, as an alternative side table on which decorative items can be placed or even as a storage cabinet for files and office supplies in the workplace. When filling the container, the lid is easily taken off because the hinges are open but not visible from the outside. Sammler designed by Oliver and Linda Krapf is available in a size S with a capacity of 23 l and L with a capacity of 56 litres. Isolated product image of the Stadnomaden - Sammler storage container S. The S version has a capacity of 23l. It is best to store small objects of all kinds. 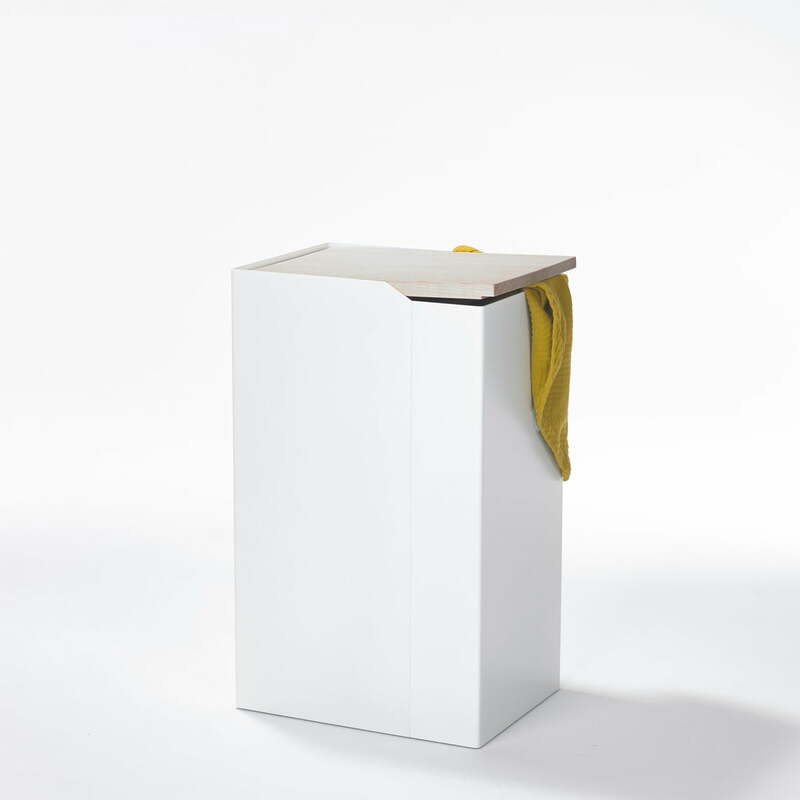 Isolated product image of the Stadnomaden - Sammler storage container L. The L version has a capacity of 56 litres and is therefore also ideal as a laundry basket. 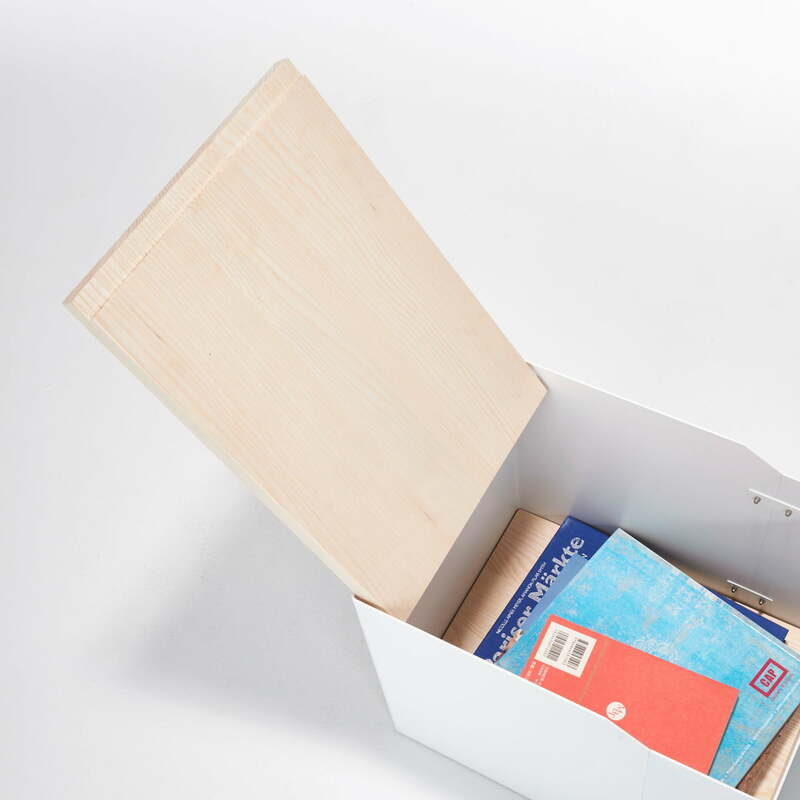 Isolated product image of the Stadnomaden - Sammler storage container L. Its graphic appearance and harmonious choice of materials makes it a discreet box that can be introduced into various environments and used in a versatile way. 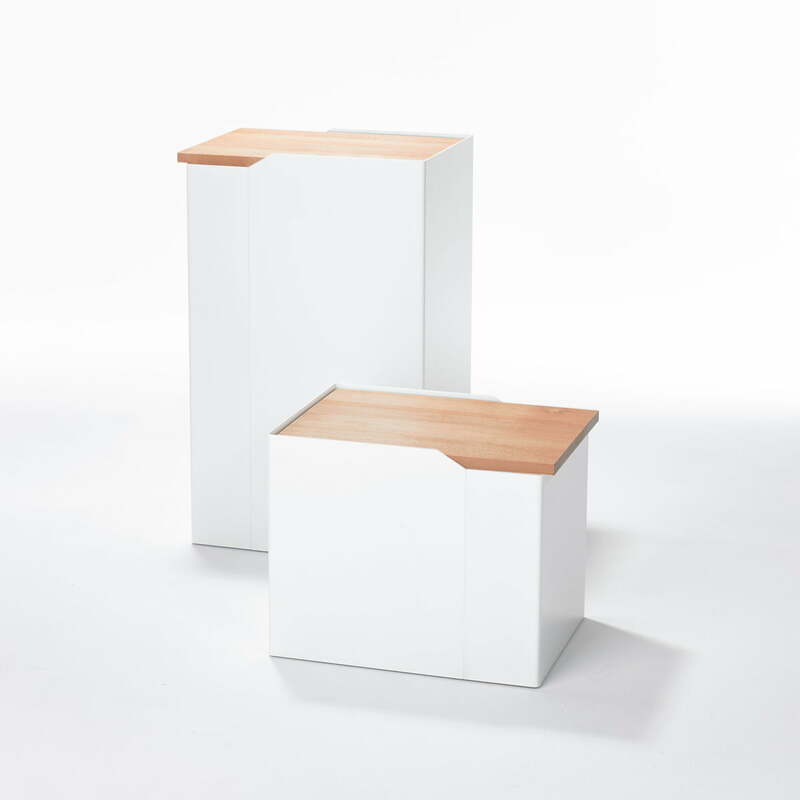 Isolated product image of the Stadnomaden - Sammler storage container S and L. The Sammler storage container by Oliver and Linda Krapf for Stadtnomaden is a simple, universal storage solution characterised by great design and functionality. Isolated product image of the Stadnomaden - Sammler storage container L. While the body is made of powder-coated aluminium, the cover made of solid wood. 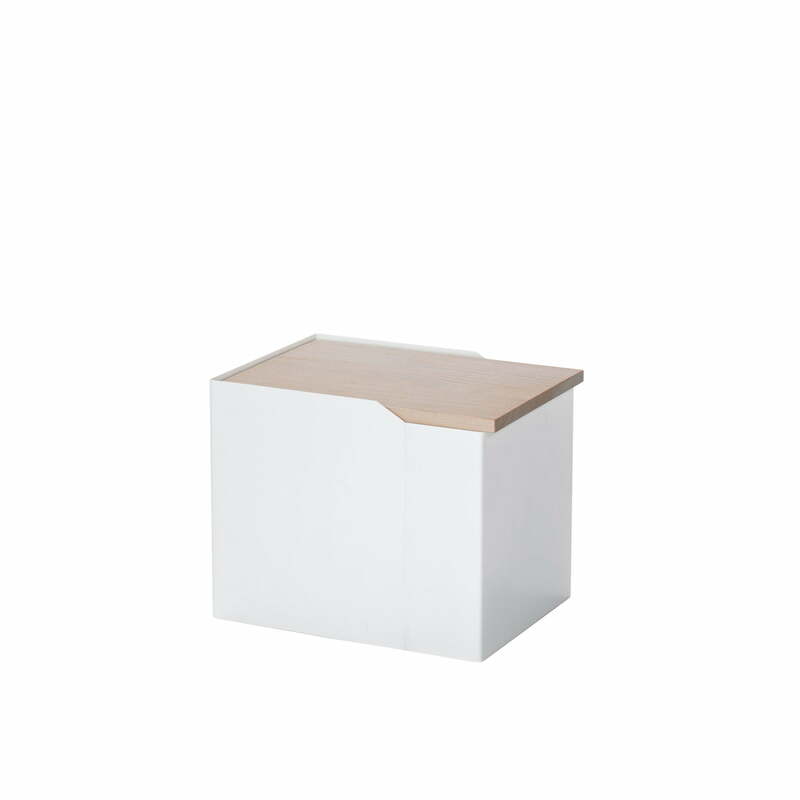 Isolated product image of the Stadnomaden - Sammler storage container S. Sammler can be used, for example, as a laundry basket, as an alternative side table, which can also be individually decorated, or as storage cabinet for files and office supplies in the workplace. Lifestyle product image of the Sammler storage container L in ash and Feiner Strick. 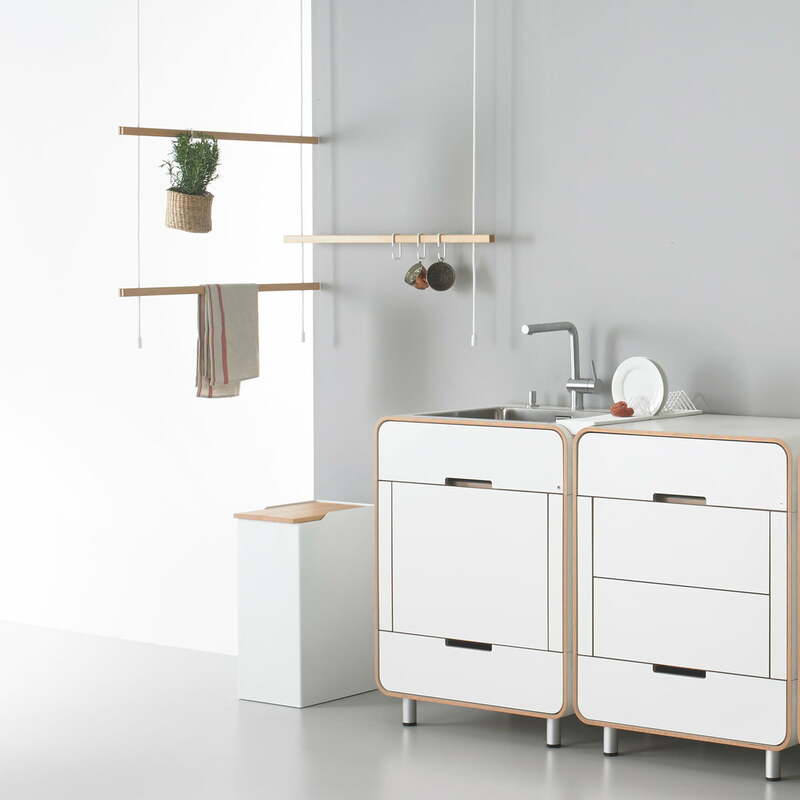 The items by Stadnomaden can be harmoniously combined with each other. 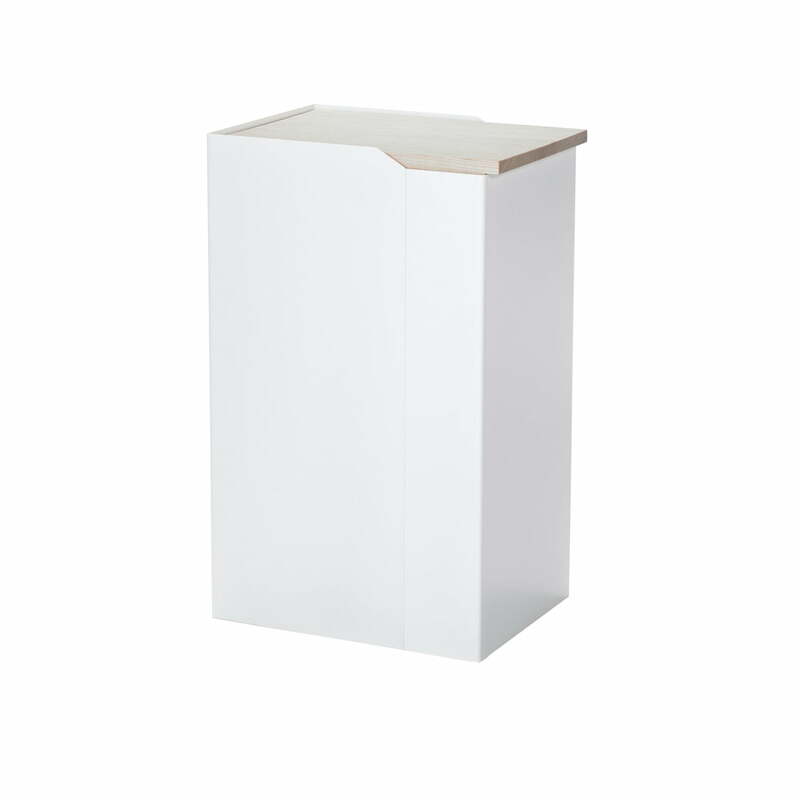 Isolated product image of the Stadnomaden - Sammler storage container S. When filling the container, the cover can easily take off because the hinges are open but not visible from the outside. 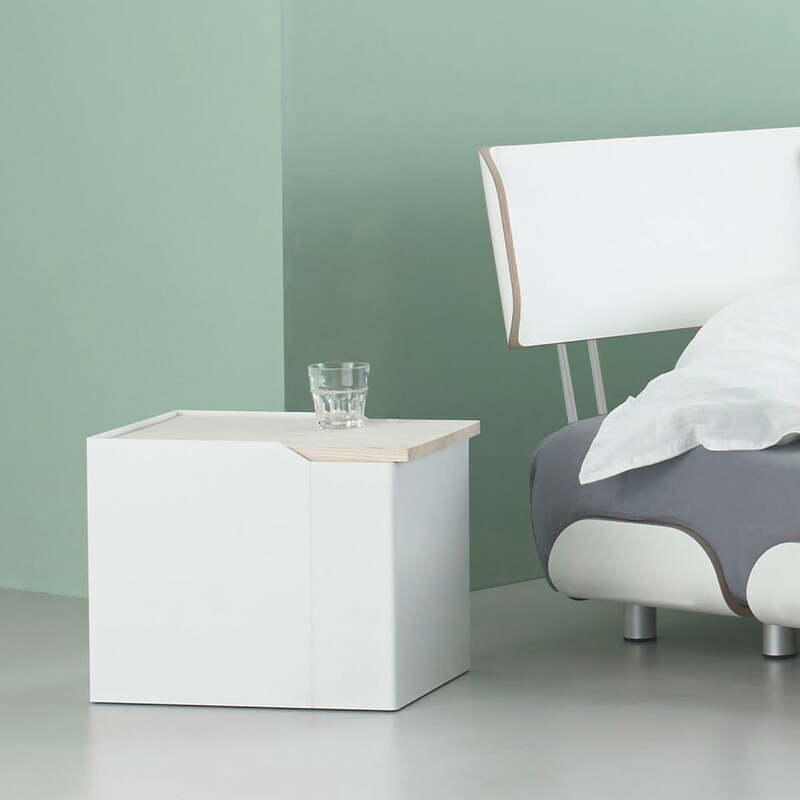 Isolated product image of the Stadnomaden - Sammler storage container S. The Sammler storage container is ideal as an alternative bedside table and offers space on which to store various items. 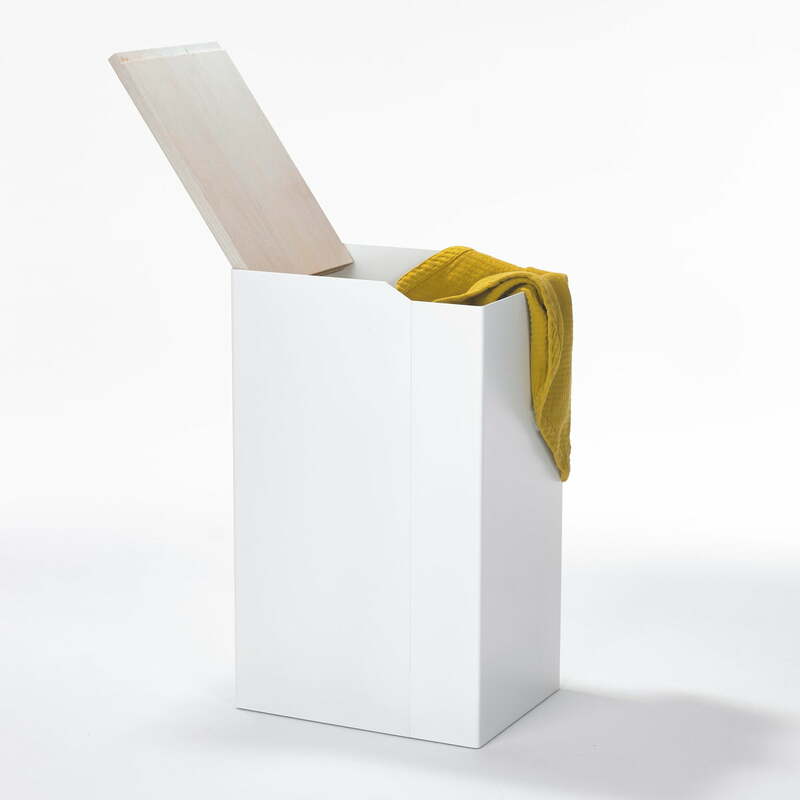 Isolated product image of the Stadnomaden - Sammler storage container S. The container can be filled with a number of different objects without disrupting the overall appearance of the room.